The first large project by Lazy Foo' Productions. This came after the standard Tic Tac Toe and Poker projects I started out with. It's poorly coded, but it works. 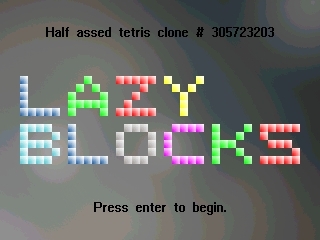 It goes to show that everybody made some crappily coded game at some point. 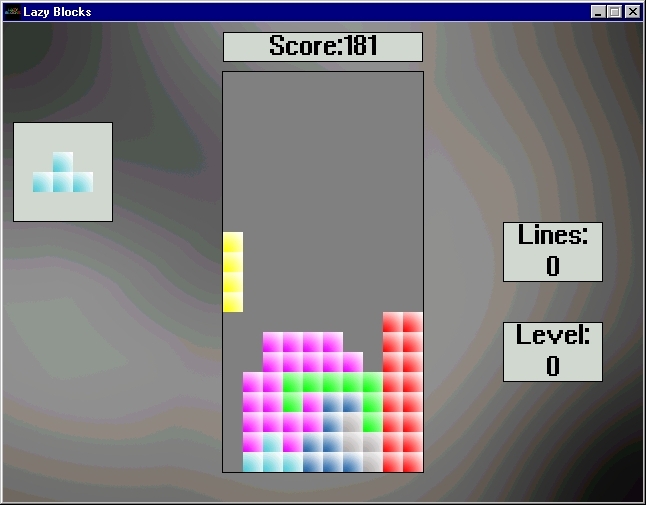 Just to warn you I made this back in 2005 and is an example on how NOT to code a game. Comes with windows binary, Dev C++ project, and full source. To make a binary, just compile main.cpp with SDL, SDLmain, and SDL_mixer.